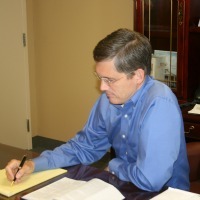 Dr. David Higgs is excited about what God has in store for First Baptist Church. A graduate of Baylor University and Southwestern Baptist Theological Seminary, Dr. Higgs is inspired by reaching new people for Christ and helping a church find effective ways to minister to the needs of her own members and implement new approaches to ministering to the unchurched as well. He is grateful to everyone who has made an investment in his life. He is also grateful for all of the wonderful people that God has allowed him to pastor over the past 20 years. It is his prayer that he can cross the finish line going full speed ahead for the glory of God. David and Kim have three children: Neil, Ryan and Jana. Don joined our staff in May of 2008. His wife is Rachel, and they have two daughters: Mary Ruth and Sadie. Don comes highly recommended as a man of integrity who has a passion for leading in discipleship and making disciples. 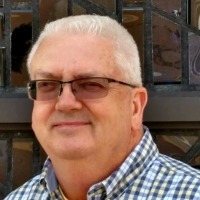 Recently he has served as Associate Pastor at East Side Baptist Curch in Paragould, Arkansas. There he oversaw a growing educational ministry which emphasized people reaching people for the Kingdom. His philosophy is that we take what God has gifted us with, called us to, and where He places us, to help people. First, lead them to Christ. Second, guide them to a closer walk with Christ through worship, discipleship, evangelism, ministry and fellowship. 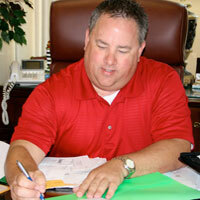 Rod joined our staff March 23, 2009. His wife is Myrna and they have four children: Jack, Angey, Ryleigh, and Molly. Rod’s goal is to lead our church body in passionate worship and to experience a fresh encounter with God. It is his objective that the Music Ministry be a prelude of praise to the preaching and teaching of God’s Word, to complement our soul-winning and discipling ministries, and to prepare the hearts of God’s people to worship Him in spirit and in truth (John 4:23-24). 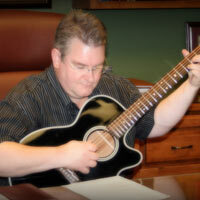 Rod, and the people of First Baptist Church are committed to teaching our children, youth, adults, and senior adults the music and musical skills that will enable them to become active participants and leaders in worship. We believe you will find the music here at First Baptist to be encouraging, uplifting, exciting, and inspiring. 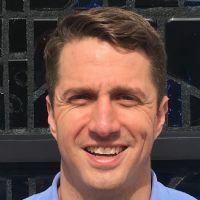 Jacob joined the staff of FBC in May of 2018. He is married to Lauren and they have a son, Brooks, and a daughter, Aleece. 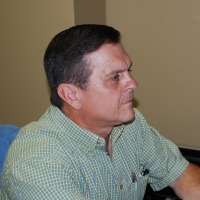 Jacob has a degree in Psychology from Northwestern State and Biblical Studies from Dallas Theological Seminary. He has been most influenced by Richard Carlson, a personal mentor for 6 years. Jacob is inspired to live out the Gospel of Jesus Christ so that "people don’t just hear my words but they see the transformation in my life" with a life long goal to serve God faithfully with zeal and authenticity. His favorite book is Same Kind of Different as Me, favorite song is So Will I, favorite restaurant is Chipotle, and favorite movie is Dumb and Dumber. He was once featured on Good Morning Texas as a Cajun cuisine expert, which happens to be his favorite food and his hidden talent is wiggling his ears! 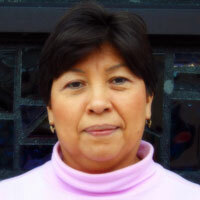 Iris joined the staff of FBC in October of 2018. She is married to her own superhero, Thor and they have 5 children: Rebecca, Victoria, Alex, Alesha and Dalton. They also have 8 grandchildren and a fur baby, Sugar. Her grandparents, Homer & Yvonne Maynard, were the most influential people in her life. They were her biggest cheerleaders and prayer warriors. She is inspired by her family and friends. She hopes to leave a legacy of faith and love for others to her children and grandchildren. Her hidden talent is scrapbooking and a little known fact about her is her love of Winnie the Pooh and Snoopy. She loves reading autobiographies and devotionals. She loves Italian & Mexican food and strawberry cheesecake. Her favorite songs are Sanctuary and What a Day That Will Be and her favorite movies are Hidden Figures, The Help and War Room. Allen King began working at FBC as the Financial Manager in April 2017. He is inspired by people in general. He notices when people don't think anyone is looking and they step up and meet a challenge just because it needs doing. His goal is to walk closer each day with the Lord and serve others. He loves to learn something new and is excited to see what God has in store for each new day. He likes Clive Cussler books and Sal's Italian Resturant along with action movies. His favorite songs are Because He Lives and How Great Thou Art. The most influential person in his life is Jesus Christ as he has seen Him bless and lead in so many ways. Allen's wife, Janet, is the next most important person in his life because of her integrity and walk with the Lord. They have two children and two grandsons. 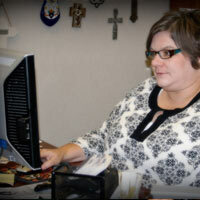 Karen Reynolds has been employed at First Baptist since January of 2001. She likes spending time with family and friends. The person who has most influenced her life is her grandmother. Karen and her husband, Taylor, have three children: Kalon (married to Jennifer), Taryn, and Kelsi. 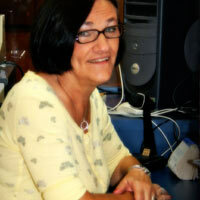 Karen joined the staff of FBC in January of 2012. She has a Bachelor of Science in Education & Early Childhood Education and is inspired by beautiful music. 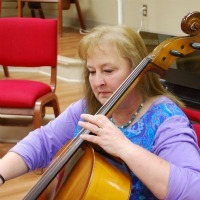 Her life long goal is to play cello in a symphony orchestra and she is currently learning to play the violin. Her favorite song is anything written by her favorite composer, Handel. Her mom, Ruby Wallis, was the most influential person in her life. 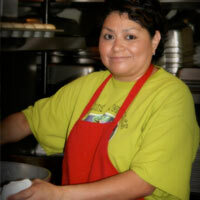 Her hidden talent is cooking, when she has time and her favorite movie is The Wizard of Oz. Karen is married to Joe and they have 2 daughters, Grace & Hope. 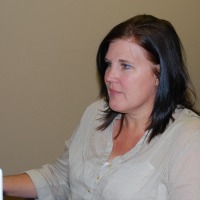 Debra joined our staff in March 2014. She is married to Tim and they have Peyton, Paxton, Parker & PresLee. She is inspired by her family and her grandparents are the most influential people in her life. Her goal is to leave a legacy of faith to her family and friends. She is an only child who attended Odessa College and Sul Ross State University. Her favorite books are the Bible, The Noticer & The Help. Her favorite restaurants are La Madeline, Pappadeaux & Reata's. Her favorite movies are Grease, The Aristocats & The Notebook. Favorite songs are My Redeemer Lives & Be Thou My Vision and favorite foods are pizza, quiche & queso. 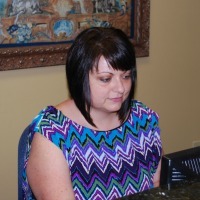 Joining the FBC staff in July of 2014, Mischelle is the receptionist & Children's Minister secretary. She attended Midwestern State University in Wichita Falls. She was most influenced by her grandmother who taught her to be a Christian in word and by example. She is inspired by her children and her lifelong goal is to nurture a love of service in her children. Her hidden talents are painting on canvas and refinishing furniture. A little known fact of her is being born in Falls Church, Virginia then moving to Texas at the age of two. Her favorite books are historical fiction, favorite restaurant is Posados, favorite movie is Gone with the Wind, favorite song is Oceans by Hillsong United and favorite food is lemon creme cake. She has been married to her husband, Tommy, since 1996 and they have two children, Jaiden and Brody. 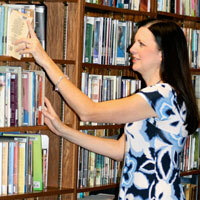 Lisa Waugh joined the staff as Media Library Director of First Baptist Church from January of 2008 to October of 2011. 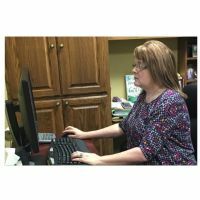 She is now the Website Director for First Baptist Church. After graduating from West Rusk High School she attended Texas A&M University and The University of Texas at Tyler to receive a degree in Elementary Education. Before coming to First Baptist she worked as a school teacher and administrator for 16 years in both public and private schools. Her mom and her daughter are the most influential people in her life and she is inspired by walking outside everyday no matter what the weather. Lisa and her husband, Tom, have one daughter, Victoria, and 2 cats, Clancy & Bella.